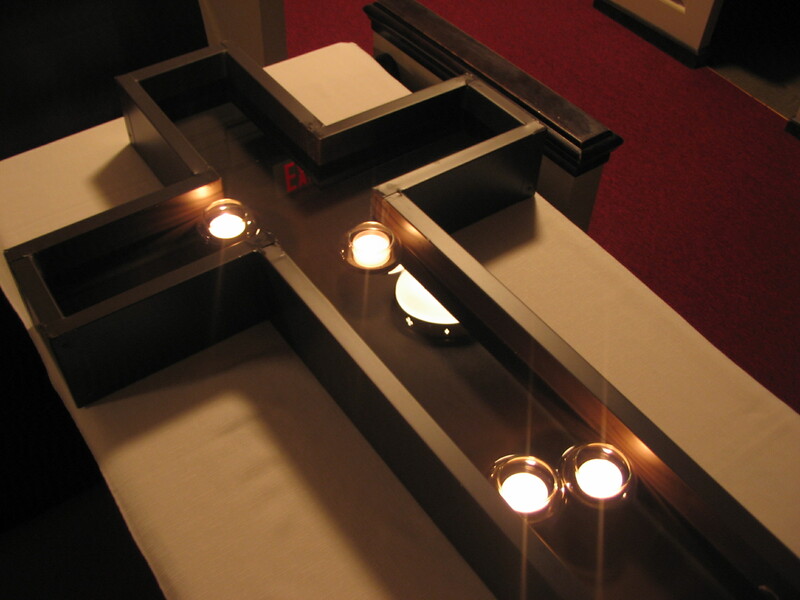 I had a dream one night about a cross that was hollowed out, filled with water, and had prayer candles floating in it. I shared this dream with a church member at FBCH and he built it for me. 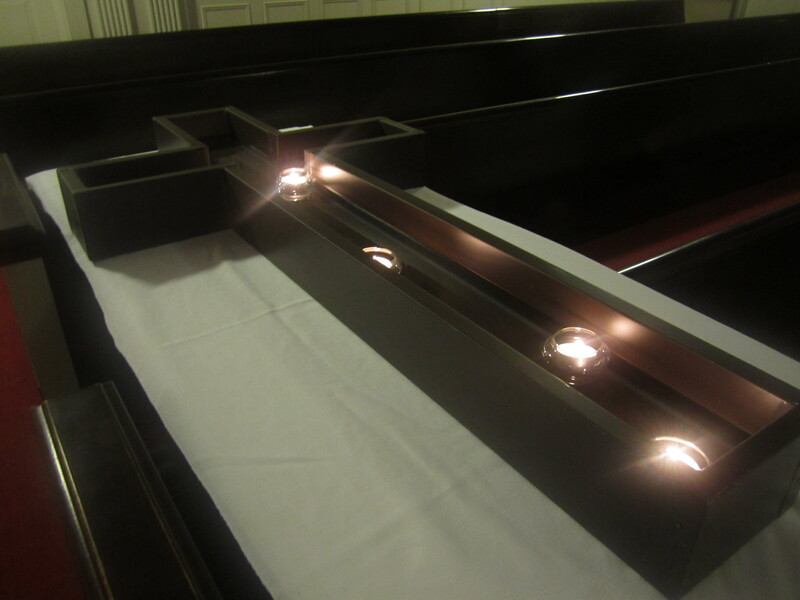 We use it as a prayer station on Holy Saturday and at various other times throughout the year. This is another prayer station we use from time to time. 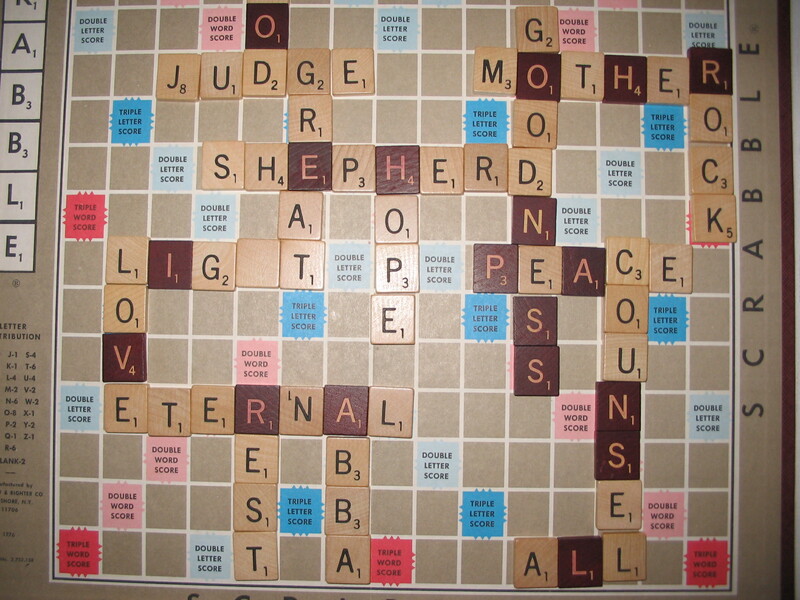 The original phrase on the board was “Good Shepherd.” I asked the congregation to add other words about Christ. The communion table at FBCH’s 2011 World AIDS Day prayer service. 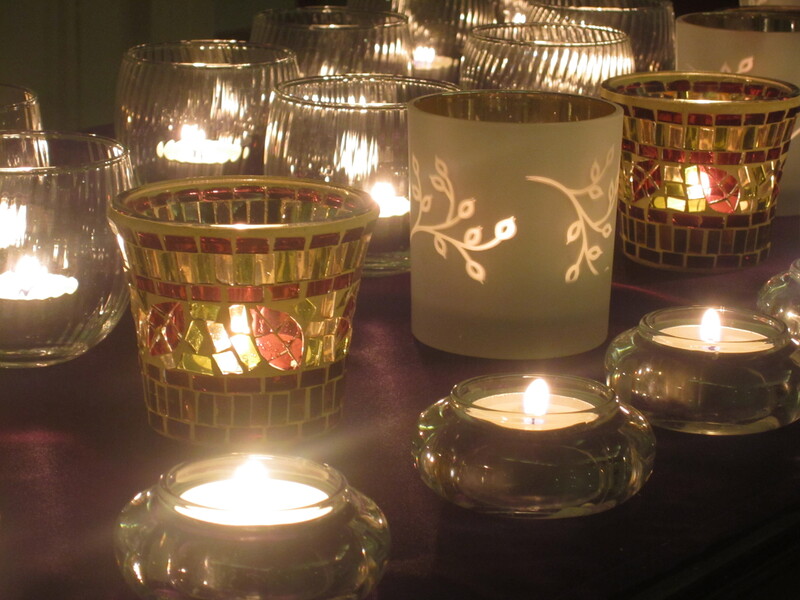 Each candle represents 1 million people suffering from HIV/AIDS. 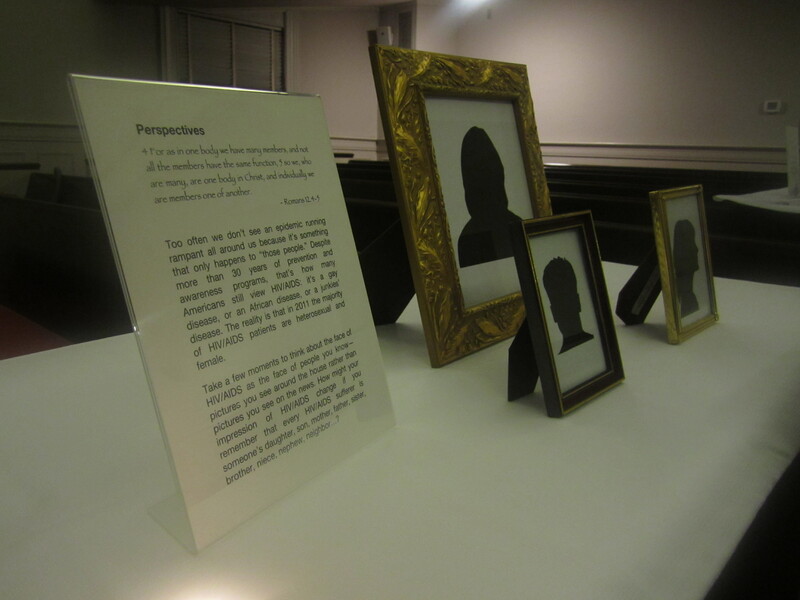 The “Perspectives” prayer station from FBCH’s 2011 World AIDS Day prayer service. 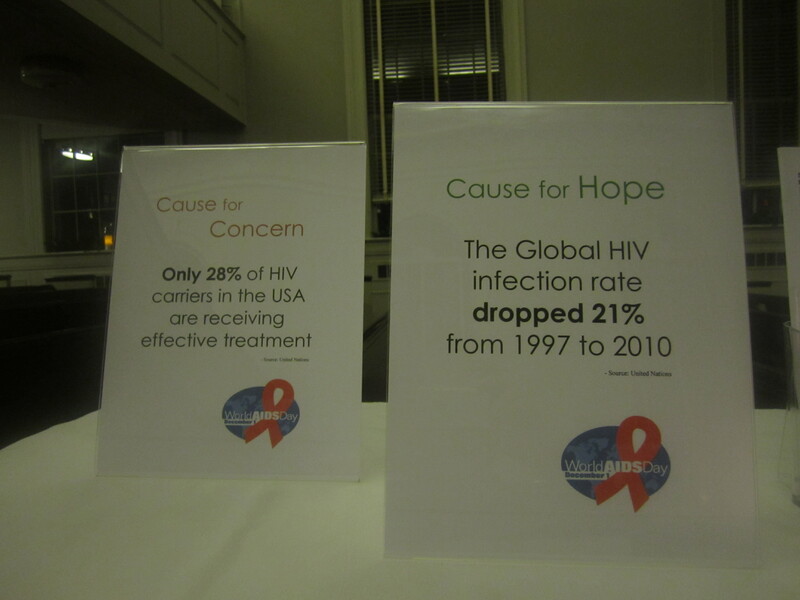 Global HIV/AIDS facts on display at the FBCH 2011 World AIDS Day prayer service. 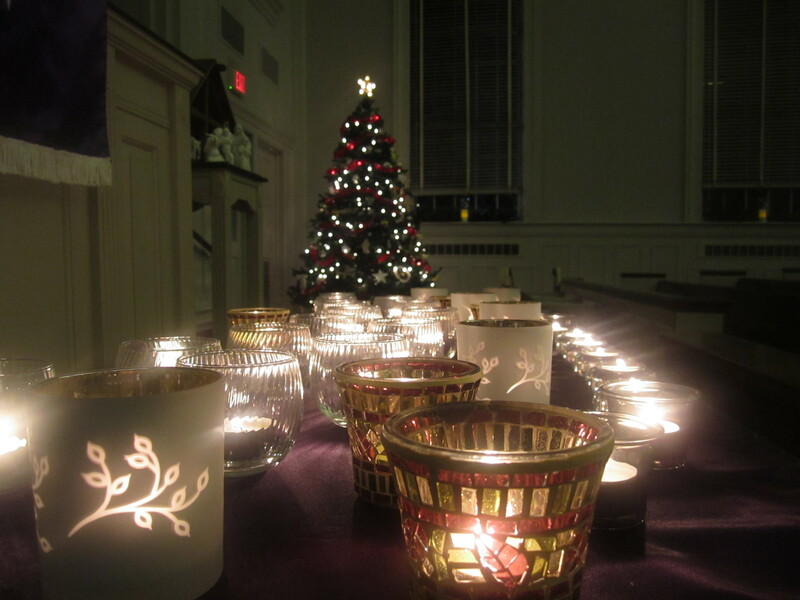 Another view of the communion table candles.